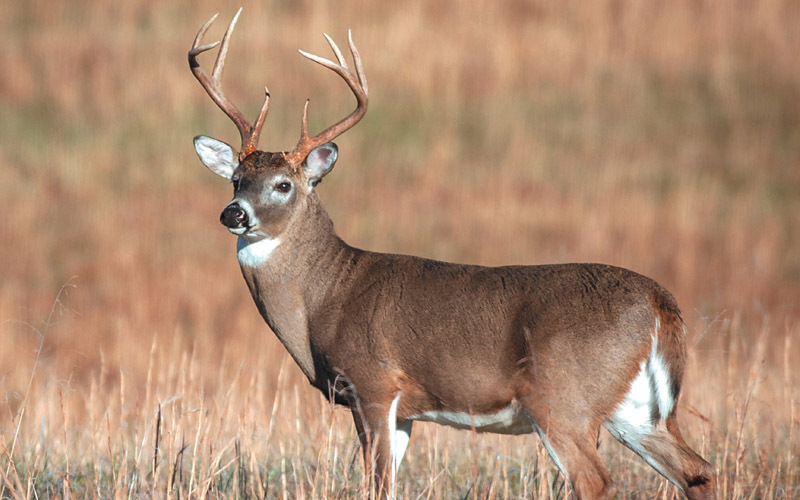 White-Tailed Deer, the smallest members of the North American Deer family, are found from southern Canada to South America. In the heat of summer they typically inhabit fields and meadows using clumps of broad-leaved and coniferous forests for shade. Their stomachs allow them to digest, including leaves, twigs, fruits, nuts, grass, corn, alfalfa, and even lichens and other fungi. Adult white-tails have reddish-brown coats in summer which fade to a duller greyish-brown in winter. Average life span is 6 to 13 years.